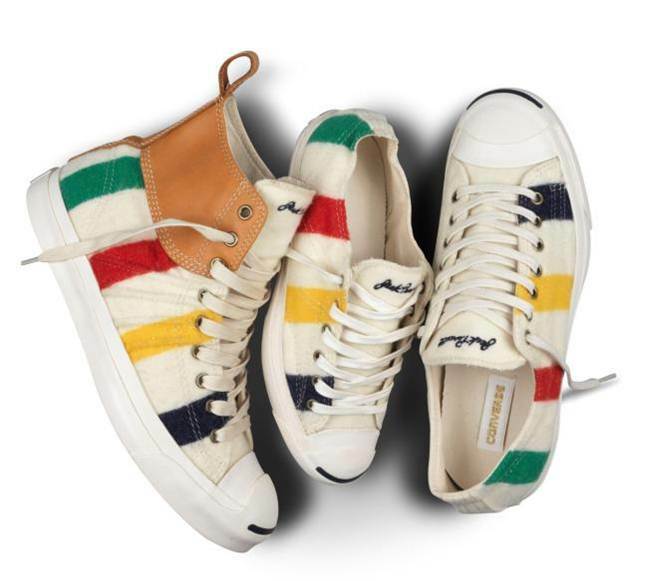 Converse and the Hudsons Bay have collaborated to create one of a kind kicks with the iconic Hudson Bay Stripe. This makes us very happy because we LOVE Converse and the Bay’s classic stripe. The combo makes for a fabulous statement to any outfit. Perfect for to amp up a fall outfit and to keep your tootsies warm as the shoe is made from the actual Hudsons Bay Blanket. Coming in 3 one of a kind styles, they will be available fall 2013. Prices range from $120-$140 and will be available September 1, 2013. Fashion Victim or Fashion Icon?